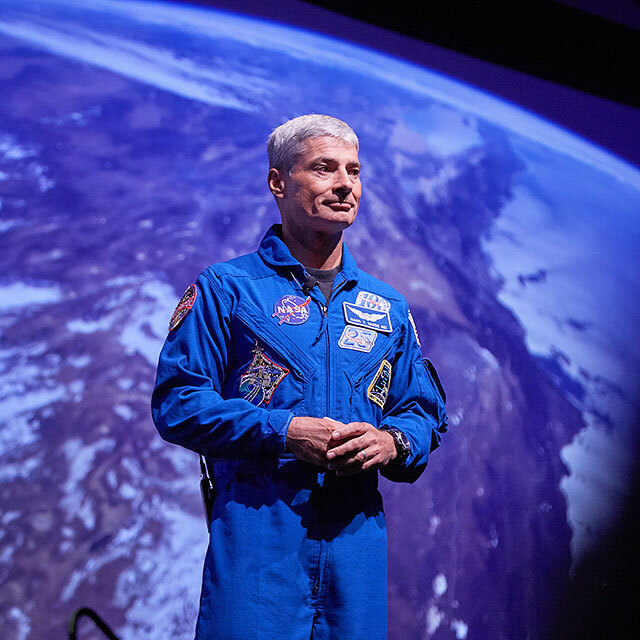 From commerce to academia to government, the International Space Station Research and Development Conference connects the best minds and resources for exploring the vast possibilities of research and development in microgravity. See firsthand how this growing ecosystem is powering “Innovation Beyond Boundaries” for the benefit of humankind. U.S. Rep. Brian Babin delivers morning keynote on Day 2 of 2017 ISS Research and Development Conference. From better health, to public safety, to cooling technology, research on the ISS improves lives on Earth. This session at the 2017 ISS Research and Development Conference looks at trends and topics that may influence future microgravity research. 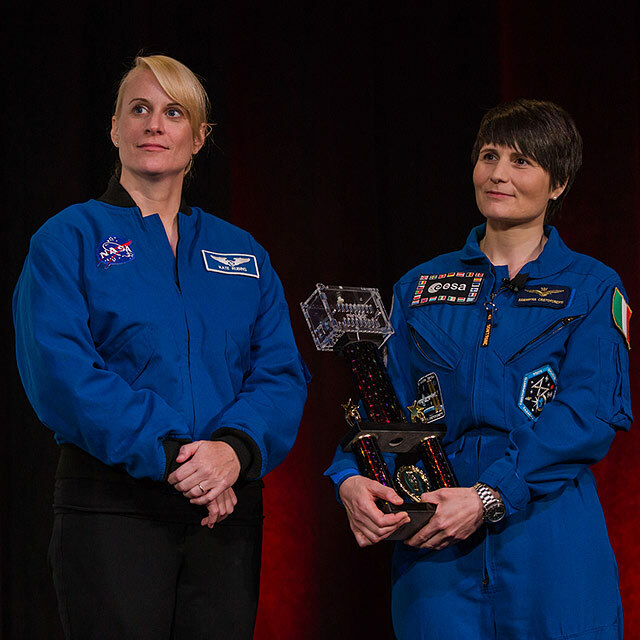 NASA Astronaut Kate Rubins joins CNN Correspondent Rachel Crane on stage at the 2017 ISS Research and Development Conference to recount her mission aboard the ISS. Joining the pair on stage for a robust discussion are principal investigators from experiments she completed in orbit. U.S. Senator Gary Peters delivers the luncheon keynote on Day 2 of the 2017 ISS Research and Development Conference. Fast Company’s Adam Bluestein leads an engaging discussion with transformative leaders on developing innovation markets in space at the 2017 ISS Research and Development Conference. At the 2017 ISS Research and Development Conference, this panel detailed technologies being developed and demonstrated on the ISS today to enable human exploration to cislunar space and beyond. NASA Acting Administrator Robert Lightfoot delivers the morning keynote on Day 3 of ISSRDC. At the 2017 ISS Research and Development Conference, space policy experts discussed the role the space station plays in fulfilling current U.S. civil space policy objectives. Bigelow Aerospace Founder Robert Bigelow delivers a keynote government-private partnerships in emerging commercial space market at the 2017 ISS Research and Development Conference. 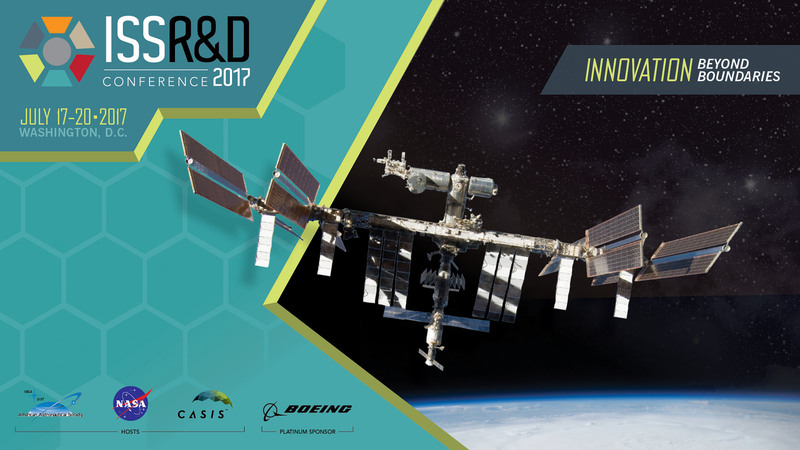 At the 2017 ISS Research and Development Conference, a panel of commercial R&D experts discuss the current state of research, development, technology demonstration, and other activities in low Earth orbit (LEO), as well as the vision for the future. SpaceX Founder Elon Musk takes the stage at the 2017 ISS Research and Development Conference for a discussion on innovation. At the 2017 ISS Research and Development Conference, a panel of remote sensing experts explored the data needs for existing and potential ISS remote sensing users as well as the engineering firms charged with enabling these concepts to address challenges as a society. At the 2017 ISS Research and Development Conference, a panel of commercial space executives discuss a variety of commercial programs offering government and commercial customers increased affordability, accelerated access and new opportunities. Learn about STEM education programs that are leveraging access to the space station to impact student communities across the country–from the students themselves at the 2017 ISS Research and Development Conference! ESA Astronaut Samantha Cristoforetti recounts her mission aboard the space station at the 2017 ISS Research and Development Conference. ISS Research Awards Ceremony at the 2017 ISS Research and Development Conference recognized a variety of innovative research experiments utilizing the space station as a platform for discovery.